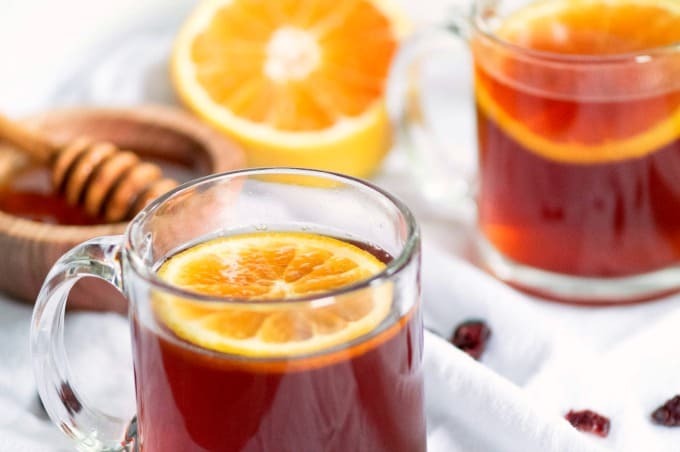 Crockpot Cranberry Citrus Cinnamon Tea is one of the first things I make when someone in my family feels like they’re coming down with a cold. 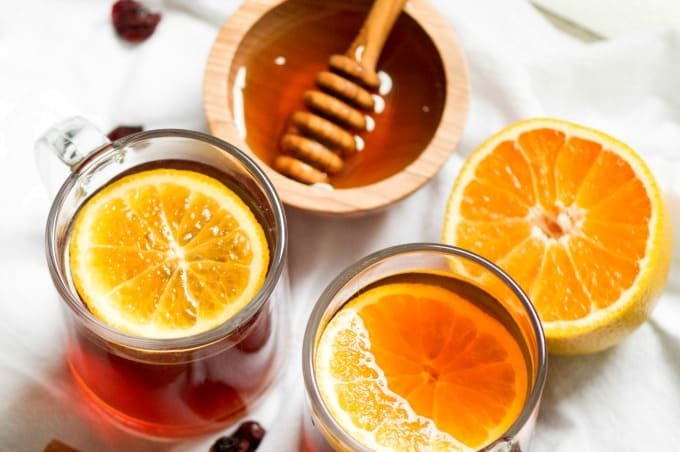 This is a warm and soothing drink, especially with the addition of honey to comfort coughs and scratchy throats. 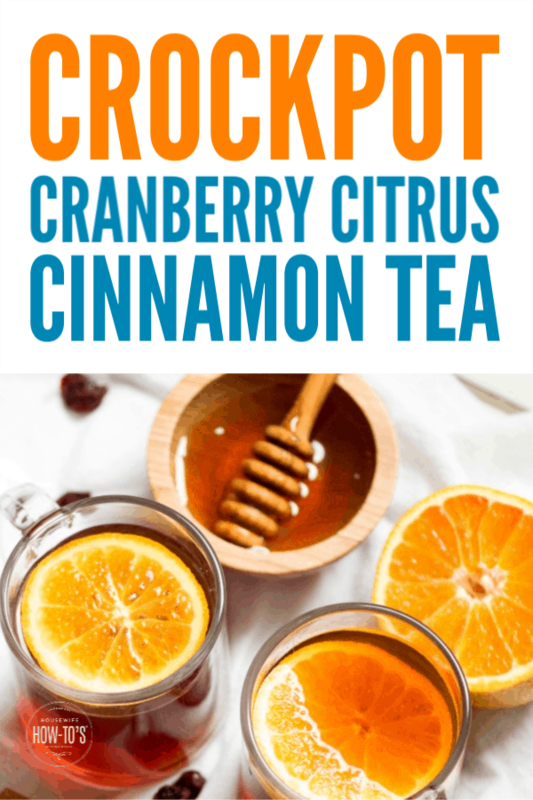 You make it in the crockpot, rather than one cup at a time, which means you can sip it throughout the day. That’s a bonus if you’re the one who’s not feeling well. I don’t rely on a tea to keep us in good health throughout cold and flu season, mind you. I’m a firm believer in protecting my family against the flu by making sure we get our annual flu shots. But, although we’ve been fortunate to avoid the flu, I can’t say the same thing about sore throats. Lordy, I think one of us had a sore throat every day last winter — we just kept taking turns. I’ve since learned that our home’s humidifier had stopped working. It’s crazy what improving indoor humidity can do! This year, I’ve had a crockpot of this going just about every day. Even though we had the humidifier fixed a while back, running a crockpot of tea helps keep the indoor air moist, too. If you happen to have any leftover at the end of the day, strain and refrigerate it. You can warm it up again on the stove, in the crockpot, or even in the microwave. 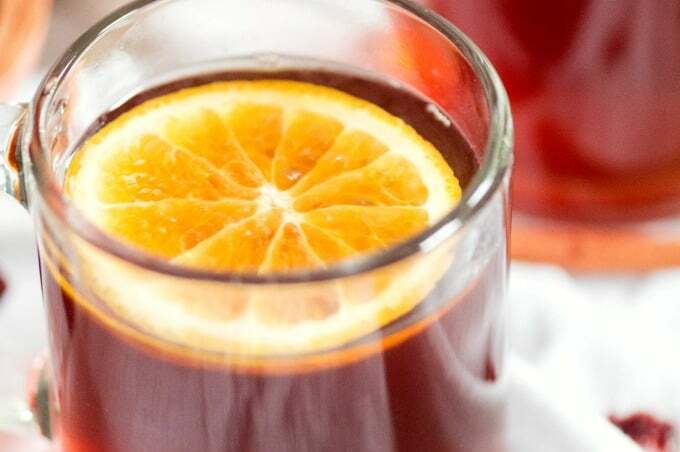 Add fresh orange slices and sip away! 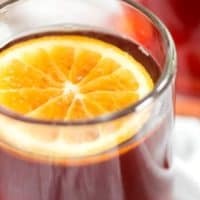 A sweetly soothing, fragrant tea to make in your crockpot at the first sign of scratchy throats. Add all ingredients to the crockpot. Cover and cook on HIGH for 30 minutes. Remove cinnamon sticks, stir well, and serve. Can be left on LOW heat for up to 8 hours. Good for you getting that flu shot! This sounds like a delicious tea for anytime, not just for when your’re feeling sickly. Good info to know about Sams too. Pinned. I love this tea. Thank you for Pinning! This sounds wonderful for the chilly days ahead! Pinning! Thank you for calling out the importance of getting your flu shot! Tea looks wonderful. Just what I have been needing for my early winter cold! It’s delicious and, as an unexpected bonus, it makes the house smell amazing, too!